The Colors Leadership Awards, held at the Grand Hyatt in Santa Cruz, a western Mumbai suburb, was attended by quite a few Bollywood and television stars. Hrithik Roshan poses in a purple suit on the red carpet. Varun Dhawan, currently gearing up for his new film ABCD 2, looks dapper in his grey suit. 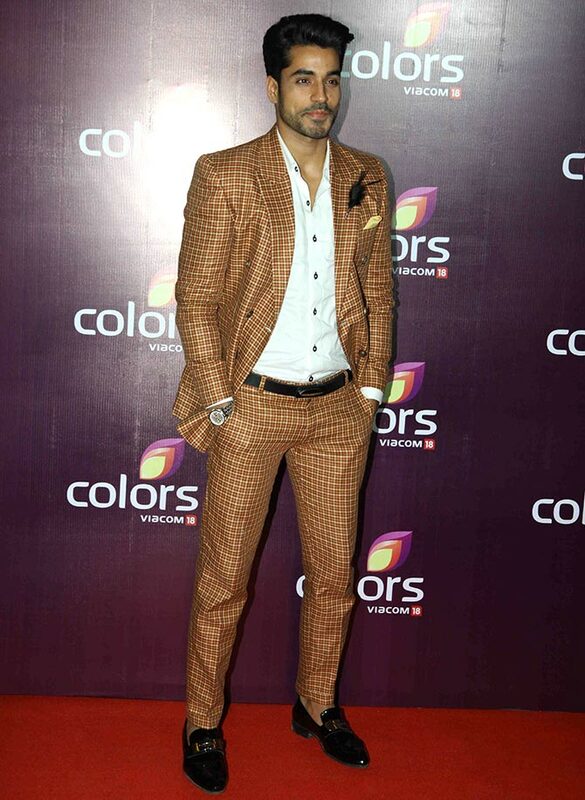 Bigg Boss 8 winner Gautam Gulati turns heads in a checked suit. Actress Sonali Kulkarni and Anil Kapoor, photographed at the do. 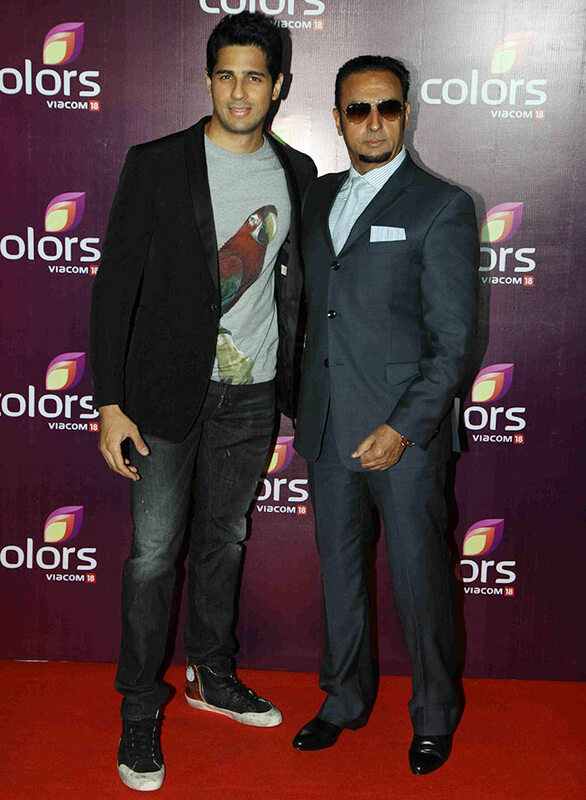 Siddharth Malhotra is joined by Gulshan Grover on the red carpet. Dia Mirza, seen here with husband Sahil Sangha, looks chic in her floral dress. Sridevi poses for picture with film producer husband Boney Kapoor. 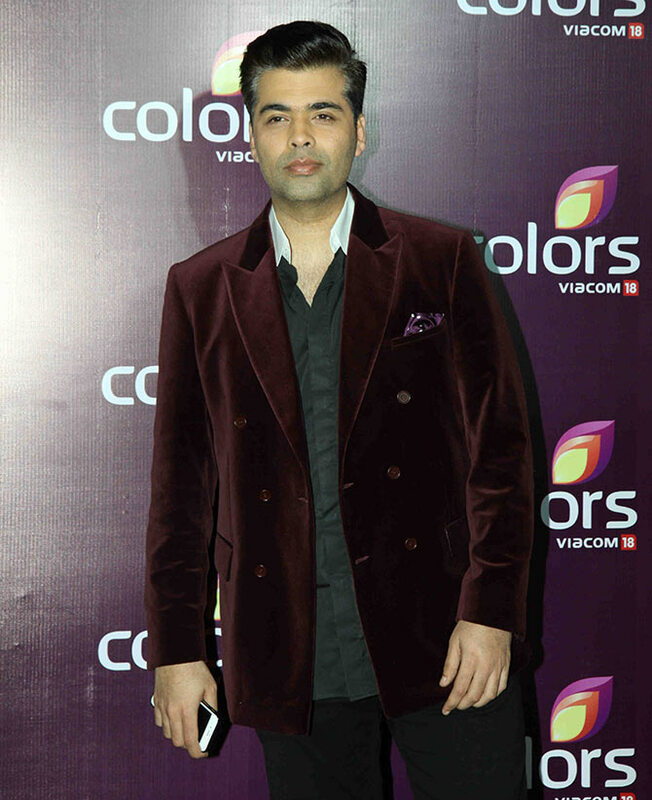 Director Karan Johar makes a statement with his velvet jacket. Madhuri Dixit's coral salwar kameez is all kinds of regal. She is seen here with husband Dr Sriram Nene. 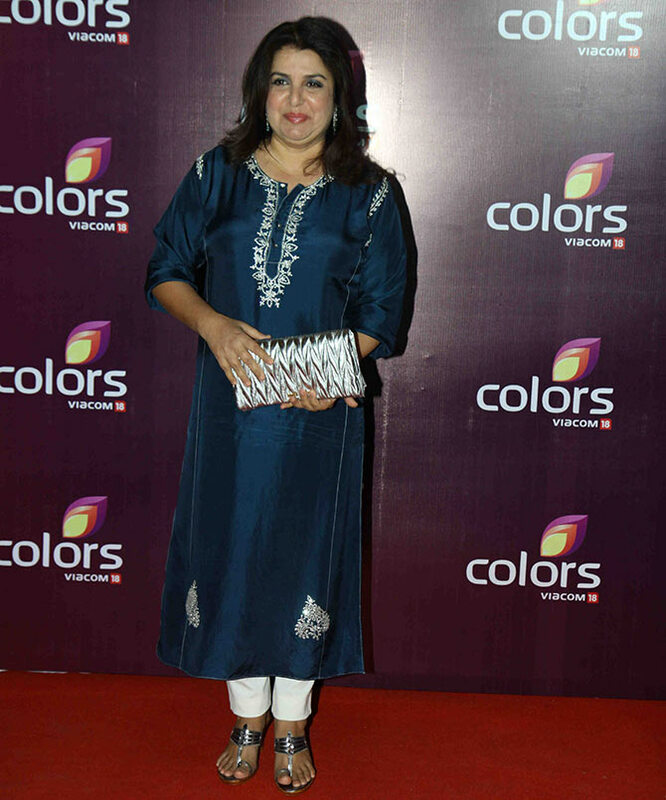 Director-choreographer Farah Khan was among the invited guests. Jay Bhanushali, who recently visited the Rediff office to promote his latest release Ek Paheli: Leela, arrives with actress wife Mahi Vij. 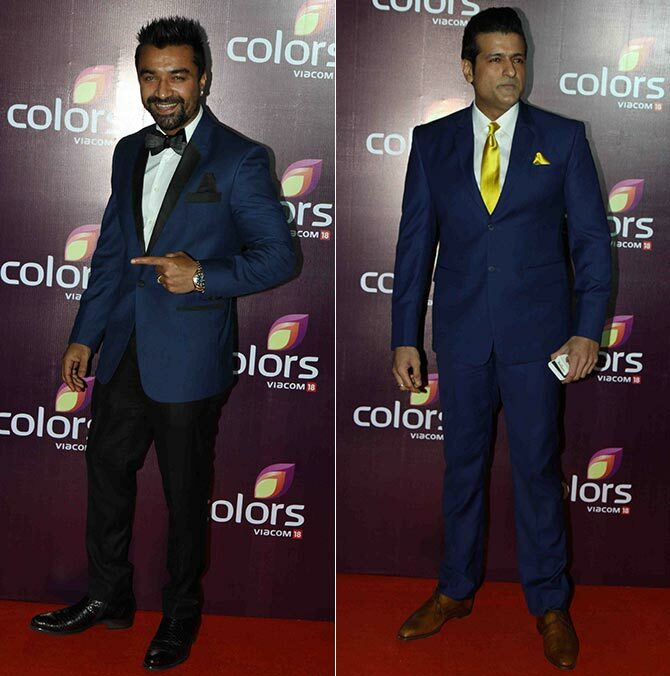 Former Bigg Boss contestants Ajaz Khan and Armaan Kohli are wqell turned out in their suits. 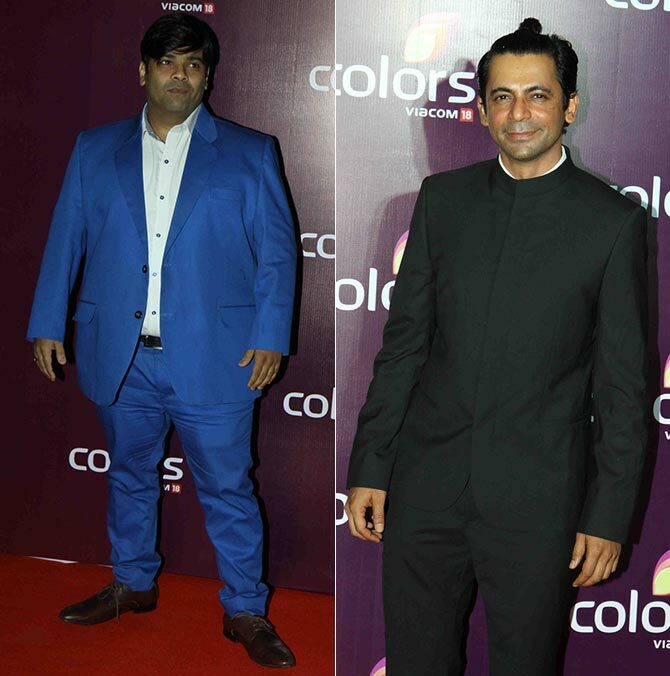 Comedy Nights with Kapil stars Kiku Sharda and Sunil Grover arrive. 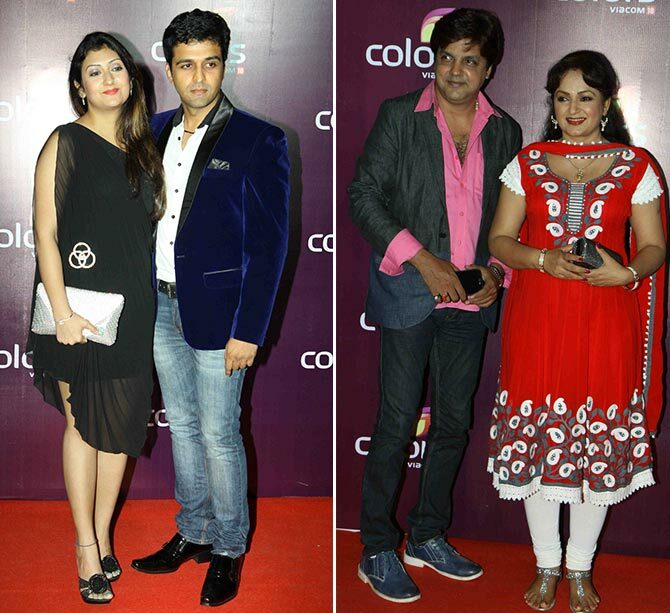 Televison actresses Juhi Parmar and Upasna Singh, accompanied by their respective husbands on the red carpet. 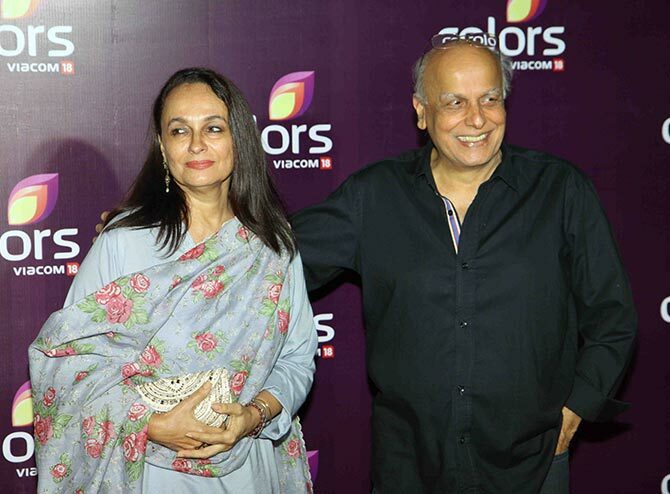 Mahesh Bhatt, spotted with wife Soni Razdan. Mandira Bedi and her husband Raj Kaushal strike a pose. Puneet Issar and his wife Deepali. 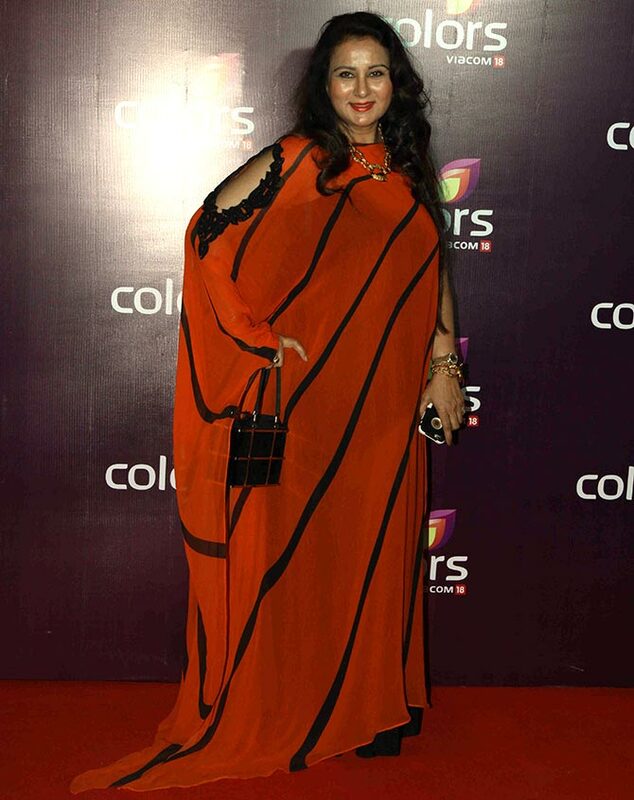 Actress Poonam Dhillon poses for pictures on arrival. 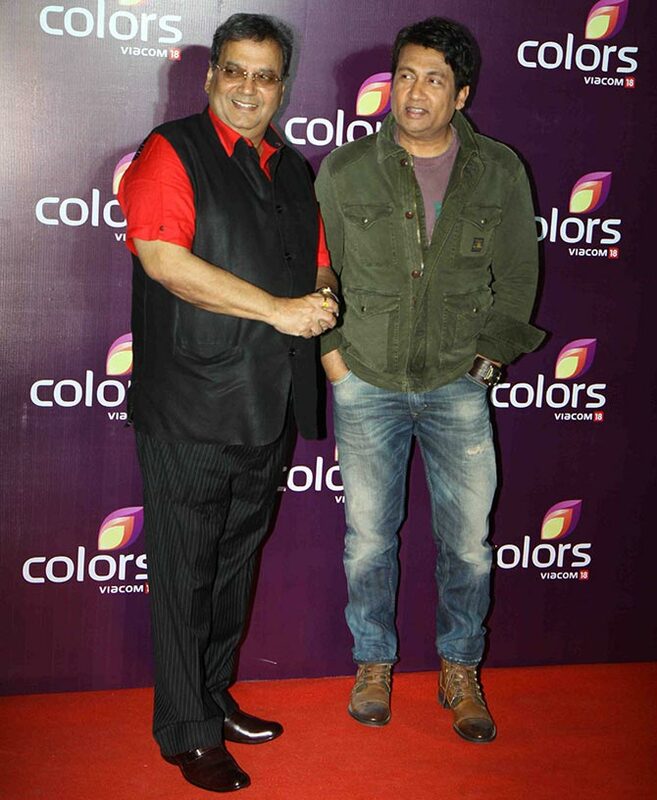 Director Subhash Ghai and actor Shekhar Suman arrive.